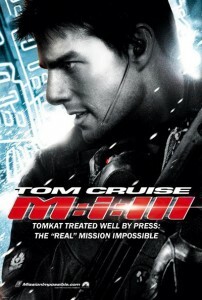 Home » Entertainment » Mission Impossible 4 is coming! Mission Impossible 4 is coming! Finally some breakthrough in the movie “Mission Impossible 4″. Two new screenwriters have now joined the project and is working on speeding up the process. Mission Impossible is a sequel of movies that stars Tom Cruise. The last movie “Mission Impossible III” was released in 2006. But now it seems that Mission Impossible 4 might not have Tom Cruise, but his character Ethan Hunt might be involved in the movie. Now thats not good news. The movie is set for release in 2011, hope they might make it. JK Rowling plans to build Hagrids hut in her gardens? Ryan Dunn, 'Jackass' Star dies in Car Accident! Kanye West Pick on Taylor Swift Again!